Marisa Reyes, an L.A. native with Mexican roots, is a lifelong learner, teacher, and world traveler whose curiosity to experience different cultures and adventure has taken her around the globe. She has attained her B.A. in Liberal Studies and a Master's of Library and Information Science, which has allowed her to be a school, academic, and public librarian since 2010. To bring balance to the mind body connection, she also teaches Kundalini and Yoga Nidra for workshops and retreats. In 2013, she traveled to Chiang Mai, Thailand to study Thai massage and become a Chi Nei Tsang Abdominal Massage practitioner. 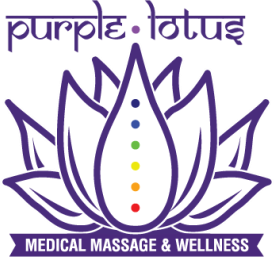 In addition, she is also a California-certified massage therapist who takes people into a deep state of relaxation, allowing the parasympathetic nervous system to rest and heal. Her passions include dancing, hiking, hooping, riding her bicycle, creating art, prepping healthy foods, holding space for ceremonial gatherings, and so much more. She is also a Moon Dancer with the Ollintlahuimetztli tradition, in Teotihuacan, Mexico which has played a significant role in her spiritual growth. Her soul's purpose is to help people create connection to themselves and others so that we can all learn and grow with each other, opening up a space for play, celebration, and authenticity. Michael Meier is a Medical Massage Therapist from Innsbruck, Austria. He has nearly two thousand hours of medical massage training, and hundreds hours more in over 30 other massage modalities. Beginning in 2006, he has worked in clinics, hospitals, and 5 star resorts throughout Europe. Throughout his travels, he studied to become an Ayurvedic prakriti analyst in Bangalore, India. His goal is to bring peace and balance to all the people with whom he works. His medical knowledge combined with his intuitive sense makes him a powerful healer. ﻿In 2013, Michael and Marisa met on their solo travels through Southeast Asia, crossing paths in Cambodia. They journeyed together through Thailand, Malaysia, Singapore, Bali, and the Philippines. Once Marisa's trip came to an end, she returned home while Michael continued to Australia to pursue work. Six months later they reunited in Australia where they started a successful business providing massage and yoga. ​Being the travel adventurers they are, they ventured back to Thailand to study Chi Nei Tsang, a powerful abdominal massage. They continued through Myanmar to India where they complete a Hatha Yoga Teacher Training in Rishikesh.